Sony to stream entire back catalogue of PSOne and PS2 games? 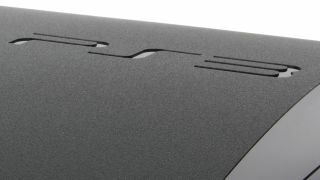 Sony has reportedly to made a deal to allow PSOne and PS2 games to be streamed to the PlayStation 3 over the cloud. The console already offers some original PlayStation games for purchase though the PlayStation Store, but this move could make the entire back catalogue available for online play. Geek.com reckons Sony has made a deal with existing cloud gaming platform Galkai, which will be confirmed at E3 next week. The move would finally allow PS3 owners to play PS2 games on the console, albeit through an app rather than just loading their old discs. You'd have to think that a PS Vita app would follow too. The deal is likely to see a monthly subscription fee to access the back catalogue, rather than paying for individual titles as gamers currently do on the PlayStation Store. This does, of course, raise the issue of gamers having to pay the same game twice, if they wish to play old PS2 games on the current generation console.